These 12 KEYS TO HEALTH are based on the fundamental principles of basic health. These principles encourage a healthy diet along with dietary supplementation, especially if the diet is insufficient in supplying these nutrients. These health principles have been proven by scientists, which have been termed, Natural Law. Natural Law states that the bloodstream will keep the body in perfect health if it is properly nourished and if it is able to remove all waste products from the body. Here's to a New Year's resolution of health and vitality! 1. Cleansing the bloodstream and colon at least twice a year is one of the most important keys to maintaining true health. Ultimately we recommend a blood and colon cleansing 2 - 4 times a year. 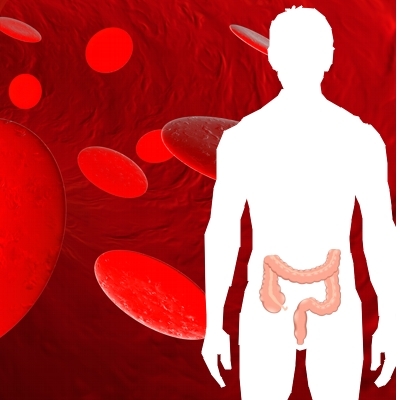 The body must have healthy, nourished blood to complete its task of feeding the cells, replacing the worn out parts, and carrying away the waste products that are produced within the bloodstream. Likewise, the colon must be cleaned out to eliminate accumulated mucous, toxins, and hardened feces in order to allow absorption of nutrients from our foods and supplements. For over 68 years we have recommended one of the pioneer programs in cleansing - our Sonne's 7 Day Cleansing Program to assist in cleaning your colon. 2. Fiber & daily bowel movements - Daily fiber helps to encourage elimination of waste from the bowels on a daily basis. Daily bowel movements are a key to health and longevity! Unfortunately, the standard American diet (SAD) of hot dogs, hamburgers, pastries, processed and packaged foods completely lacks adequate fiber, nutrients, enzymes, creates poor digestion, and subsequently can lead to a clogged colon creating constipation. Neglecting daily bowel movements leaves this undigested, fiberless food in the gut to ferment and putrefy - this leads to poisoning and pollution of the bloodstream, organs, tissues, and cells, which ultimately leads to disease. A diet with plenty of roughage from green vegetables, soaked whole grains, flaxseed, psyllium, etc. can provide sufficient fiber allowing for the ease of daily bowel movements. In addition, we recommend daily use of our Sonne's #9 Intestinal Cleanser to provide that daily fiber. As well as the occasional use of colon hydrotherapy in the form of colonics, Colemas, or enemas help to assist with elimination of waste matter from the bowel. For more thorough results, some type of colon hydrotherapy is a must! 3. 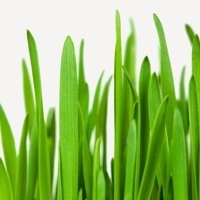 Greens - Green vegetables, and the cereal grass juices of oats, wheat , barley and rye are very alkaline to the body. These green foods also contain B Vitamins, chlorophyll, and other vitamins, minerals and enzymes. A diet rich in green, organically grown vegetables are essential to a healthy body! The greens may be made into juice form and drank daily, or in salads with other ingredients such as lettuces like romaine, green leaf, spinach, endive, etc. (Iceberg lettuce does not count!) with added sprouts, tomatoes, celery, cucumber, beets, avocado, carrots, parsley, seeds (sunflower, almonds, etc). Produce from Farmer's Markets and organic sources are recommended for most all vegetables. A superior green product is our Sonne's #10 Greenlife which contains the juice of young, rapidly growing organic cereal grasses of young oats, wheat, barley, and rye harvested when they are at their peak in nutritional value. 4. Fresh fruits and vegetables rich in Vitamin C - Vitamin C plays an essential role in the formation of collagen, connective tissue that is required for normal maintenance, growth, repair, and healing of living tissues. Vitamin C also functions as an antioxidant, and protects other antioxidants such as selenoproteins, glutathione, and vitamin E from becoming oxidized (inactivated) in the body. * Foods that are high in Vitamin C include: Peppers (Red and Green Hot Chili peppers), Bell peppers, Guavas, Thyme (herb), Dark Leafy Greens (Kale, Mustard Greens, Garden Cress), Broccoli, Cauliflower, Brussels Sprouts, Kiwi fruits, Papayas, Oranges, Strawberries, Acerola (Cherry), Lemons, etc... Since vitamin C is constantly being utilized, and it should be taken in small repeated doses throughout the day. Our #17 Natural Source Vitamin C chewable tablets are ideal for this purpose, providing easy and rapid absorption of the natural vitamin C complex. The Acerola berry and Wild Spanish Orange contained in our tablets are naturally sour and bitter, so we add powdered blackstrap molasses and honey for a tart but pleasant taste. 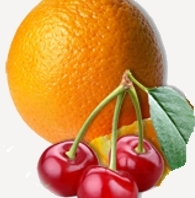 Note: the natural forms (from food sources) of Vitamin C outperform ascorbic acid (a synthetic form) by providing more antioxidant activity and bioflavanoids and all the synergistic factors found in Nature. 5. Eat healthy Fats for stamina, strength, & vitality. Healthy fats play a major role in helping you manage your moods, help with mental stamina, fight fatigue and even control your weight. Learning to make healthy choices and replace the bad fats with good ones that promote health and well-being. Good fats, such as omega-3, are essential to physical and emotional health and should be eaten daily. Monounsaturated fats and polyunsaturated fats are known as "good fats" because they are good for your heart, your cholesterol, and overall health. (The "good fats" include olive oil, sunflower oil, sesame oil, olives, nuts (raw almonds, macadamia nuts, cashews, pecans, and hazelnuts) and freshly ground peanut butter or almond butter, avocados, fatty fish (salmon, tuna, mackerel, herring, trout, sardines). Two products in our Sonne's line that are examples of "good, healthy fats" are our Sonne's #3 Wheat Germ and Flaxseed Oil Capsules and our Sonne's #5 Cod Liver Oil liquid. 6. Eat at least 50% raw fruits and vegetables, and gradually increase. Eating close to raw foods as possible (garden fresh, organic, non GMO,) is important to your health because the body thrives on enzymes! Cooked foods often kill the live enzymes that are present in the food. When no enzymes are present in foods, the body has to use up its own store of enzymes to properly digest foods. Continued depletion of enzymes eventually weakens the digestive processes. Furthermore, arthritis and similar inflammatory diseases are increased by the constant consumption of "dead or cooked" foods. Increasing the live enzymes in the diet is a major factor in contributing to your health! 7. Daily Detox - daily removal of waste and toxins from the body is an essential key to health. 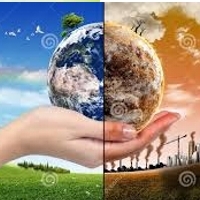 We are bombarded with chemicals, radiation, viruses, bacteria, heavy metals in the air, water, and food. Our Sonne's #7 Detoxificant is a safe and natural way to remove these toxins from our body on a daily basis. This Detoxificant has so many other uses as well (i.e. fruit and vegetable wash, foot soaks, and detoxify baths) and should always be on hand. Both our #7 Detoxificant and #9 Intestinal Cleanser are a powerful, daily cleansing team that assist with internal detoxification. 8. Calcium, phosphorus, magnesium - minerals that are essential in building strong bones and tissues and metabolic function. According to the National Institutes of Health (NIH), 50% of American Adults and up to 35% of adolescents are not getting enough calcium. 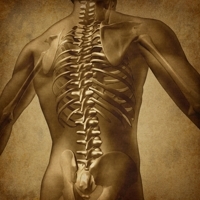 Many women suffer from osteoporosis and many die each year from post fracture complications. So many practitioners are recommending calcium supplements to bolster the intake of this essential mineral! Our Sonne's #2 Calphonite (R) liquid is uniquely formulated to meet the requirements of all of these minerals (calcium, phosphorus, and magnesium) in the correct balance and is readily available to be absorbed by the body. Calphonite (R) requires very little digestion to make the calcium available, and it does not constipate like other calcium supplements. 9. 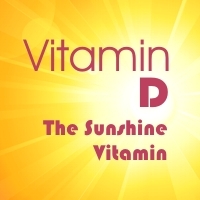 Sunshine & Vitamin D- Getting natural Vitamin D from sunlight has numerous health benefits! 1Studies suggest that Vitamin D may go beyond the well-established role in bone health and reduce the risk of many diseases (including cancer, heart disease, stroke, diabetes, autoimmune diseases, and more). Vitamin D is not only a vitamin but also a hormone that your body can make from the sun. Vitamin D together with Calcium helps to prevent osteoporosis in older adults. Unfortunately, 40%-75% of people are deficient in Vitamin D because it is not abundant in our food choices, or the use of sunscreens, or the environment and climate where sunlight may not be a reliable source for everyone. 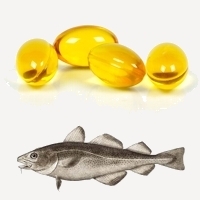 A teaspoon of our #5 Cod Liver Oil liquid provides 100% of the RDA for Vitamin D and also supplies 80% of Vitamin A. 10. 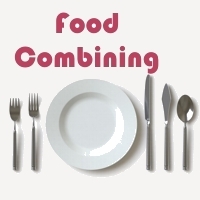 Food combining - Eating properly combined foods is not easy for most people. Determining what foods are alkaline and what foods are acid, and then not eating them at the same meal can be difficult. 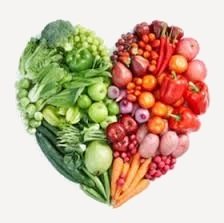 Alkaline foods require an alkaline medium to digest them, and acid foods require an acid medium to digest them. Both kinds of foods cannot be digested properly when eaten at the same meal, since the two mediums neutralize each other. The consequences to eating improperly combined foods at the same meal can lead to allergies, undigested waste matter that can clog the colon, putrification which creates gases and poisons within the body and blood. An essential key to healthy digestion is the aid of a Digestive enzyme, which can help when proper food combining is not possible. Our #6 PRO-GEST (Vegetarian) digestive enzyme which contains Papain (which is a natural proteolytic enzyme that breaks down proteins and supports a healthy digestive process). Other ingredients include papaya seed meal, Russian black radish, and betaine hydrochloride in a base of dried juice from organically grown beets. 11. Drinking pure water. Pure water is important in flushing the liver, kidneys, and blood and supplying oxygen to the cells. Unfortunately, when we drink coffee, vitamin water, soda, juice, etc...the water is adulterate with other substances and the burden is placed on the liver to filter them out. But with pure water, the body uses it more readily. Drink water generously throughout the day, 8 - 10 or more 8 oz. glasses a day, more in summer or when you are perspiring. Try to drink water between meals, not during a meal since this dilutes your digestive enzymes making it more difficult to digest the meal properly. Also, room temperature water is usually best. 12. 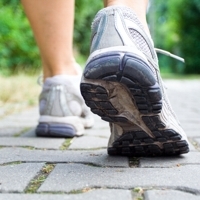 Exercise - Walking, aerobic exercise, rebounding, running, jogging, raking leaves, etc...any physical activity is essential to health and well-being! Getting the body moving (especially out in the fresh air) helps oxygenate the blood, increases circulation (blood flow) and stimulates the lymphatic system which encourages elimination of built up toxins in the tissues and muscles. 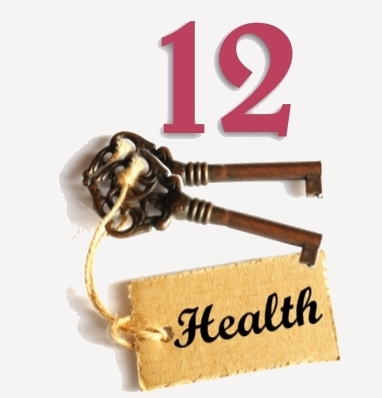 These are your 12 Keys To Health! Your health IS your wealth! No one, but YOU, can take responsibility for YOUR OWN health. "Protective Mechanism" by V. E. Irons.